The husky sledding was outstanding. I was happy to go on such a clear day but with so much snow on the ground. The owners were pleasant and friendly and the dogs were friendly and excited to go for a run. They were phenomenal and went above and beyond my expectations. We did have a good trip home. 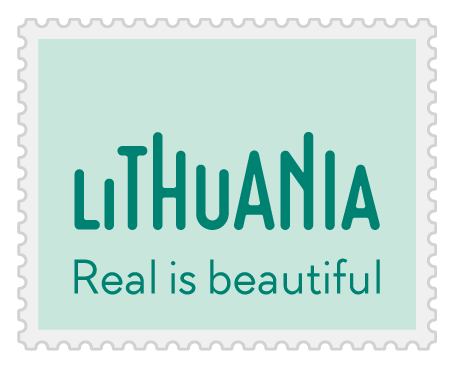 The only downside was not getting Lithuania stamps in our passports! [...] We were extremely happy to have him [Chaim Bargman] as our guide. He is so knowledgeable and such a memorable character; he went above and beyond anything we could have hoped for in a guide. It is only because of him that we found and met with members of my husband's family, found his grandmother's house, and met lovely and interesting people in every town we visited. Lukas, our driver, was also excellent, professional, good company and also went beyond the call of duty by translating and answering questions about life in Lithuania today. You, too, did a fantastic job, especially working out all the last minute pope-visit changes. I am not one to write reviews, but it is my intention to write letters for all of you, if I ever get my suitcase unpacked. On the subject of coins, while I'm writing...It was an amazing surprise to meet with mayors, aldermen, local experts (and reporters taking notes!) in the towns we visited. While Chaim's suggestion to bring dollar coins as gifts was a fine one, I think it is more that Chaim likes coins. If I had known, I think I would have brought little gifts that were more Washington DC-specific, or a least I would have thought about it more (we aren't usually treated like big-wigs when we travel). So if you find yourself booking a similar trip, you may want to mention this (we thought these visits were very special and would recommend the arrangements to anyone interested in getting a real feel for the country). Thanks for arranging the trip so well. I will get back to you with letters as soon as I get my act together. 2018 metu rugsejo 25 diena Biržu rajono savivaldybeje viešejo sveciai iš JAV – Sheldon ir Janet Schwartz. Juos atlydejo Kauno žydu bendruomenes narys, visu vadinamas „gidu Chaimu“. Sveciai susitiko su Biržu rajono savivaldybes mero pavaduotoja Irute Varziene, mero patareja Danute Martinkeniene. Pokalbyje dalyvavo ir mokytojas Vidmantas Jukonis, švietimo, kulturos ir sporto skyriaus specialistas Merunas Jukonis. Sheldon Schwartz yra Biržu žydu palikuonis, atvykes ieškoti savo gimines šaknu. Svecas išsamiai papasakojo savo gimines istorija, parode nuotraukas. „Penkiasdešimt metu svajojau aplankyti Biržus, iš cia kile mano senelis. Ir pagaliau aš ca, “ – kalbejo JAV armijos atsargos pulkininkas, buve diplomatas S. Schwartz. Jo senelis Biržus paliko 1912 metu balandžio menesi, kai jam buvo 14 metu, Amerikoje vede žyde, kilusia iš Kupreliškio. Sveciai labai džiaugesi, kad netoli Kupreliškio jie dar rado Marcinavos vienkiemi, kuriame gyveno prosenele Sara Liba Kremer. Kadangi Biržuose buvo like senelio brolio Pinchaso Melamedo šeima, taip pat proseneles šeimos nariu, kurie neemigravo, S.Schwartz mano, kad jie galejo buti sušaudyti 1941 metais Pakamponyse. Sheldon ir Janet Schwartz aplanke Kupreliški, Vabalninka, sen?sias Biržu žydu-karaimu kapines, Pakamponiu memoriala. Pokalbiu metu sveciams buvo pristatyta dramatiška Biržu krašto žydu istorija, istorines atminties išsaugojimo projektai, planai. Dienai baigiantis pasieke džiugi žinia: Sheldon Schwartz surado savo gimines Biržuose. Paaiškejo, kad jis yra Letos Melamedaites Vainorienes antros eiles pusbrolis (ju seneliai buvo broliai). Taigi - ir sveciu kelione, ir visi susitikimai igavo kita prasme: tikslas pasiektas, netušciai laukta, ieškota, keliauta. Ema was especially interesting, and we would definitely recommend her to others. 2018 m. rugsejo 24 d. Kupiškio rajone viešejo JAV pilieciai sutuoktiniai Sheldon’as ir Jenet’a Wilkison Schwartz’ai. juos lydejo gidas profesionalas Chaimas Bargmanas, holokausto istorijos tyrinetojas. 2018 m. rugsejo 24 d. Kupiškio rajone viešejo JAV pilieeiai sutuoktiniai Sheldon’as ir Jenet’a Wilkison Schwartz’ai. juos lydeejo gidas profesionalas Chaimas Bargmanas, holokausto istorijos tyrinetojas. S. Schwartz’as musu rajone ieško savo gimines šaknu. Iš pasakojimo galima daryti išvada, kad jo mociute gyveno Kupreliškyje, maždaug pusiaukeleje tarp Kupiškio ir Biržu. Sveciai apsilanke ir Savivaldybeje. Juos maloniai prieme meras Dainius Bardauskas. Prie arbatos puodelio išklause ju istorijos, papasakojo apie rajono Savivaldybes projekta – Nochemo Šmidto malune irengti muzieju. Sveciams padovanojo suvenyru prisiminimui. Veliau amerikieciai aplanke maluna, sinagoga, žydu kapus. Užsuko ir i Kupiškio etnografijos muzieju, Kupiškio turizmo ir verslo informacijos centra, pabuvojo Skapiškyje, aplanke ir cionykštes žydu senasias kapines. Thank you Gabriele for all your help! We had an amazing trip with memories that will last a lifetime!! Vilija was an amazing guide and really showed us the culture. She was wonderful. Vilius our driver was also great! We are from Argentina and visited with "Visit Lithuania" Riga-Kaunas-Vilnius, special emphasis on Jewish places. Everything was great!! Guides in Spanish, driver in English, car & hotels. Very recommended !! Hemos contratado en forma privada Riga-Kaunas-Vilnius. Todo fue perfecto!! Las guías en español, los hoteles 4 estrellas, el automóvil y traslados. Super recomendable !!! Thank you! I’ve been meaning to write. The trip was WONDERFUL!! Our flights back home were very pleasant. And the airport transfers were great. My Mother and I both enjoyed the trip immensely! In large part, this was due to our amazing guide, Rasa. She made the trip so much fun—and shared so much knowledge and history with us. It was truly a very special trip! She was also concerned with the welfare of all of us and sincerely wanted us to all enjoy the trip. (Here’s a pic of our group as we were leaving for our farewell dinner). Rasa went above and beyond—helping us as needed and she was always just a joyous presence. One instance: when we went to the Hill of Witches she made it come to life by telling us the legends behind the wood carvings. We all had such a great time together. All the places we saw were well-chosen and really gave us an insight into our ancestry. The hotels (and the breakfasts at each) were wonderful and always in the center of things for when we had free time. Having all the fees and entrances into the castles, etc made it so easy for us. The luncheon inside the palace’s greenhouse was a special delight. I would recommend this trip for anyone!! We came back (Craig earlier than me). It is still very cold here for us but luckily sping is here as from today. Hopefully not too many spelling mistakes in this letter. From the moment we both arrived in Lithuania we were so impressed, being picked up atairport, taken to Rudninkai hotel.The motel is very well situated to all places of interest and staff were very nice. We were very excited to try ALL the LIthuanian traditional dishes like my mum used to make and of course Craig loved it and ALL ceppillinis beetroot soup etc, the different types of Lithuanian beers (very easy to drink espescially for an Australian haha). Rasa our tour guide was very passionate about explaining all she knew about everything we saw, she was vibrant and engaged Craig and I in all our adventures. Rasa showed us old buildings, churches, cafes lots of very old buildings dating back to 13th century. Musuems, lakes, markets, University (Craig was impressed) as I was.The music festival was great for us as we alo got to see children perform in churches and in the parks loved it. Trakai castle was so much fun also with Rasa, Craig loved the archery and of course all. Rasa got us climbing mounds Kernave scenery so green, rivers, old style homes. Gediminis castle was very interesting. THANKFULLY Rasa also brought along unbrellas. It was fun. We Thanked Rasa for her hospitality, friendship, and her sincere passion. Marius our next driver was also pasionate and made our touring fun and informative. He took us to Kaunus it was interesting all the way there he explained history. We loved seeing Musuem of Rumiskis the way of life for the Lithuanians,their homes,farms,culture the ruins of different places.Craig enjoyed seeing what an old school would have looked like chalk board, childrens seats and the games they played outside. We were lucky to be in Lithuania for the 100 year celebrations. Marius took us to many places in Siauliai. One of the many highlights for me personally was going to the "Hill of Crosses" Craig and I placed a cross for every member of my family that have passed away .Very emotional. Craig and I really liked having a private driver than being in a bus with many people it gave us more personal space and time to do within itinery or to be a little bit more flexible. I would highly recommend that way of seeing places to tourists. Marius was very helpful with trying to help us find my grandad (fathers side) grave in Zagare unfortunately we didnt find it, but we saw the village, churches that my grandparents would have gone to. (thanks Marius). Craig was very happy when he saw all the beautiful forests and to see wild deer. Marius did a wonderful job showing and explaining all were sincerely are grateful. Emanuela (Ema) our driver in Klaipeda was so kind we loved walking and to be shown the wharf, linden St, we enjoyed her company and her knowledge of all. Memmel hotel was very well situated easy to walk anywhere we felt safe, staff there were very nice. Craig and I met our relatives for the first time FANTASTIC MEMORIES TO CHERISH FOREVER. Gema took us to the Dolphin Aquarium well worth mentioning to tourists and to see. Gema and our driver (Thomas) went to Marinjampole and Vilviskis . We met more relatives for the first time. We were taken to my grandparents grave (mothers side) I am so grateful to my relatives for keeping it nice and tidy, we were taken to, Mercure motel was also very nice. I must mention it is very good to have the accomadation places all had a "safe' in rooms for passports etc. Ema took us to Curonian Spit we walked laughed had soo much fun Hill of withes carvings EVERYTHING there was so interesting. The boat ride to see sand dunes loved it all. Ema was very kind and took us to chemist, Craig and I really enjoyed her company, knowledge and her sincerity also. Thank you very much for all her help in organising all our itinery and to see it all flowed well. You asked me to write any negative things that may have come to mind , that might be able to be improved on,so I would like to only mention. Perhaps let the tourist/s know if the DRIVER doesnt know anything about the places the tourist is being driven to, as Craig and I were excited about going to Marinjampole and Vilviskis, only to be told by the driver Thomas he didnt know anything. Please Let the tourist know If the driver is only a "driver" or a "tourist driver". We were disappointed and he was young thinking that was good (craigs age) only to realise he didnt converse much . It was a long 3hours back to Vilnius. I didnt notice any" first aid" items at all in car example bandade might be good to have for emergency. Thank you again Gabriele for helping make our trip fantastic Craig and I enjoyed our time together, loving our heritage and culture. Rasa Marius Ema were very good at making sure they checked ALL the cars to see we hadnt forgotten anything when we said our goodbyes. Gratelly appreciated!! I think everyone in my family was very grateful for the trip with Chaim. It is something that we will all remember, and it was a highlight of our time in central/northern Europe. It was fantastic that Chaim made an appointment with the deputy-mayor of Joniskelis, and that he brought us to the Zadeik Forest. Both were moving experiences. My only critique is that Chaim did not seem concerned with our driver's timeline, even though the driver made it clear he had to be back in Vilnius at 6 pm. I had to remind Chaim several times. I hope he didn't take it personally. But that was just a detail. We really had a wonderful visit. I hope it went well for Chaim too. New and undiscovered destination, original and fancy place to go. If you can't find other reasons, go just to satisfy your curiosity! Friendly and charming people, speaking many foreign languages. For the first moment the Baltic people may seem reserved and formal, but soon you will find them to be very warm and hospitable! Traditions still alive! Come to the Baltics during the Great Midsummer Eve celebration and you will see how the Baltic people celebrate! Each year the night of June 23 is very special in Baltics, because the cities empty out, most everyone decorates their cars, bicycles, horses etc. (even the yellow public busses are decorated) with leaves and flowers and goes out into the countryside to drink locally brewed beer, eat special Midsummer's cheese, build campfires, wave wreath of oak leaves and flowers, and sing and dance until the morning light! Singing nations! If there are at least 2 of Baltic people coming together in one place, then it is almost for sure that sooner or later they will start to sing. The Baltic people have the amazing ability to keep in memory a huge amount of song texts and almost every second one is singing in a quire. Talking about quires, have you ever witnessed an entire nation celebrate? 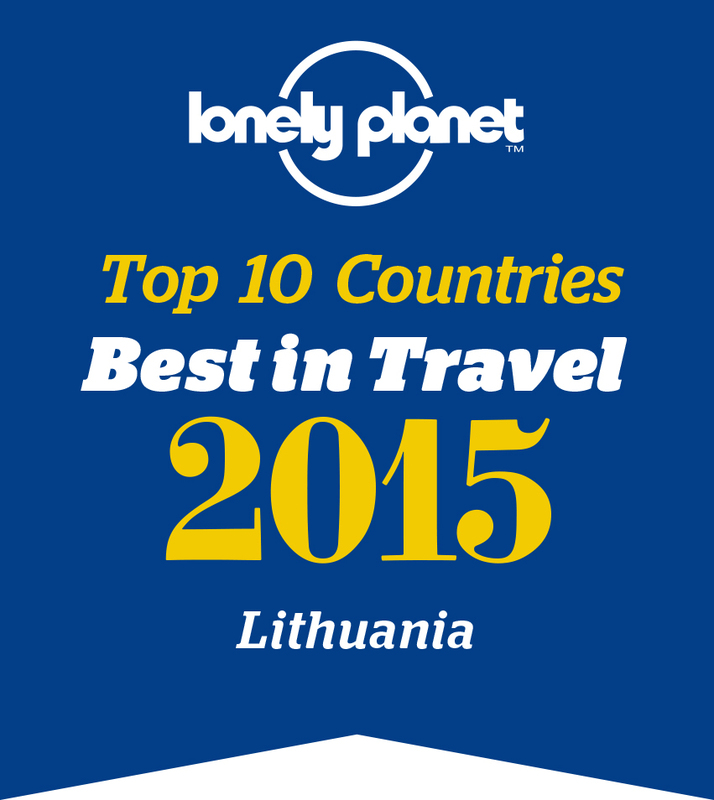 It happens in each of the Baltic countries once every four years, when the great Song and dance festivals take place. The next festival coming in this year 2003 in Riga, Latvia. Paradise for nature lovers! Approximately 50% of the territory of the Baltic States is covered with forests, the population density is one of the lowest in the world. The Baltic countries are small, but they have en enormous number of clean and unpolluted lakes and the 1360 km long Baltic Sea shoreline of white sand is sparsely populated. Many plant and animal species, such as wolfs, foxes, elks, bears, wild boar and storks which are rare or no longer found elsewhere in Europe call the Baltics their home. White stork feeding on live frogs is a rather typical site in rural Baltics, in fact, the possibility to meet a stork while traveling outside the cities, is coming near to 100%! Delicious and healthy food! As all three countries are situated on the shores of the Baltic see and the territories are reach with sweet waters, fish is not rare in the menu of Baltic people. What could be better than fresh smoked fish, bought right from the old fishermans hands in the small fisherman villages, spreading along the Baltic Sea coast? But do not worry, there are also other meals served in the Baltics! Almost every one, even those from the big cities, have their own gardens, where there are vegetables, fruit and berries grown. The Baltic people have the tradition to make jam, sour marinated cucumbers and other tasty things for the long winter season by theirselves. Anyway, the Baltic people love to eat much, but you won't see fat people in the streets. What's the secret of their diet? Beer brewed using natural ingredients and available at a low price is, perhaps, the secret of the Baltic diet! It is sometimes said that beer is the way to any of Latvians, Lithuanians or Estonians heart. Come and find out whether it's true or not. The most popular beer brands: in Estonia - Saku, in Latvia - Aldaris, Cēsu and Piebalgas, in Lithuania - Kalnapilis, Utenos and Svyturys. Real snowy Christmas! Winters in the Baltics are relatively cold. White snow is guaranteed during December, January and February. Although there are no large mountains in the Baltics, its inhabitants are real downhill skiing freaks - strange but true!